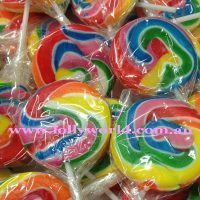 Mini Swirl Rainbow Lollipops measure approx. 5cm in diameter. They are a great size for a treat, a promotional handout or to put in kids party bags. 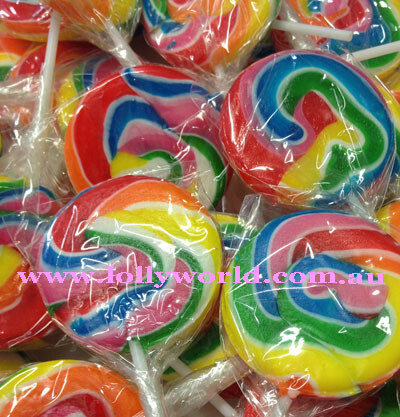 There are 12 lollipops in a bag that weigh roughly 15g each. They are also individually wrapped.